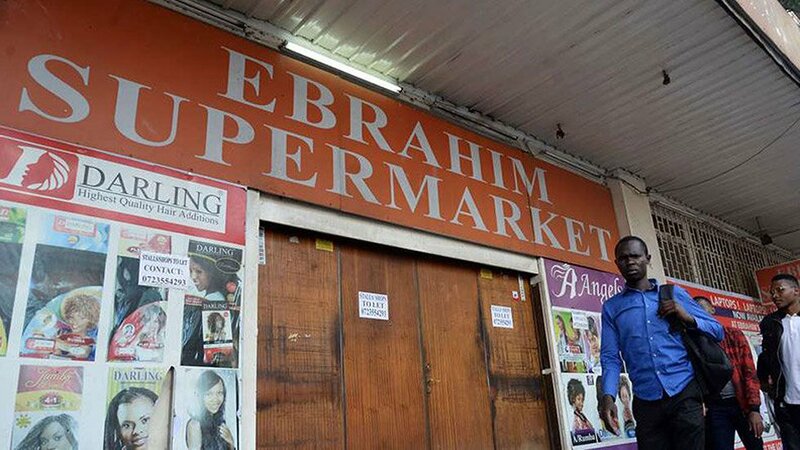 75-year old chain retailer Ebrahim Supermarket has closed down its Nairobi city branch along Moi Avenue. Last week, shoppers were treated to discounted goods from the retailer as it prepared to exit the market. Saturday was the last working day for the retailer. Close to 30 workers who worked for Ebrahim lost their jobs, even as the building that housed it is set to be subdivided for smaller retailers. The employees were not informed of the decision to close, and only woke up to a closed shop. Ebrahim set its first shop in Kenya in 1944 as a supermarket with electronics and computer distribution unit next to Sarova Stanley Hotel on Kenyatta Avenue, and later establishing another outlet on Kimathi Street. The retail market in Kenya has been facing several bottlenecks including the cost of doing business and stiff competition from players with bigger financial muscle. The latest to exit the market is Ukwala Supermarket who are seeking liquidation, while Nakumatt has closed down several branches in a bid to remain afloat.